Young Lynx back for another short visit. 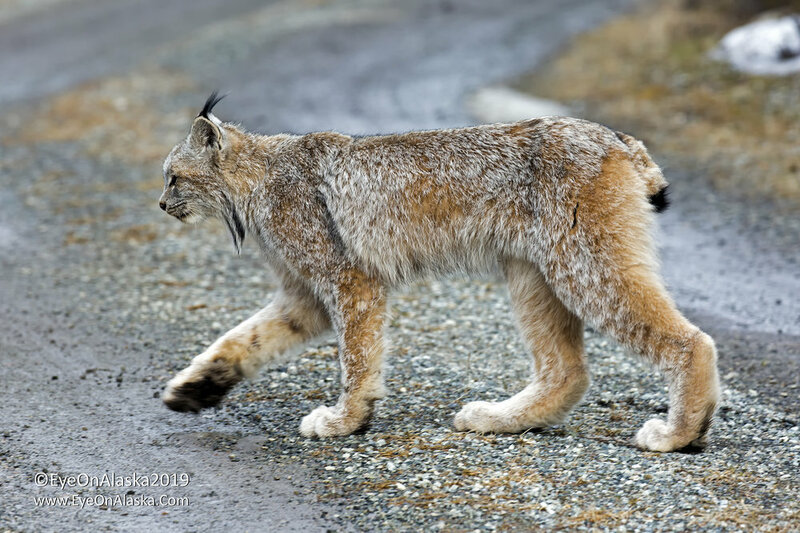 So we’re sitting at the dinner table tonight when my wife looked out the window and saw this young lynx headed down the neighbors driveway. I was able to grab the camera and grab a couple of shots as it headed towards us. As I got to the top of our driveway, a snowshoe hare came blasting out of the bushes right in front of me, followed by the lynx, who honestly just wasn’t putting that much effort into a pursuit :) I’m pretty sure this is the same young one that was laying in the sun in our backyard earlier in the week. Fun to see them around the neighborhood this spring.